Best suited for applications where there is little or no travel or where pump portability is a requirement. 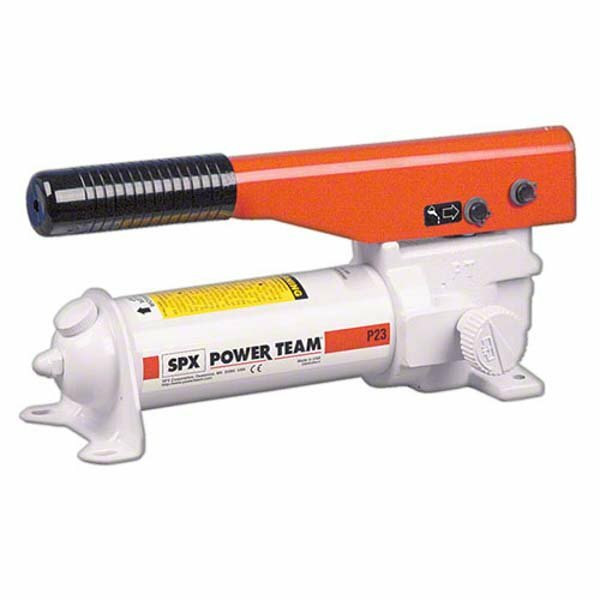 Two Speed pumps reduce the number of required handle strokes so you work faster and easier. The P Series range can be ordered with a reservoir capacity up to 9500 cm3 and are ideal for applications with little to no travel. Two-speed, single acting hand pumps for use with larger or longer stroke cylinder and have more usable oil. P15 Series two speed, 9 litre single and double acting pumps which won't burn in welding environments. 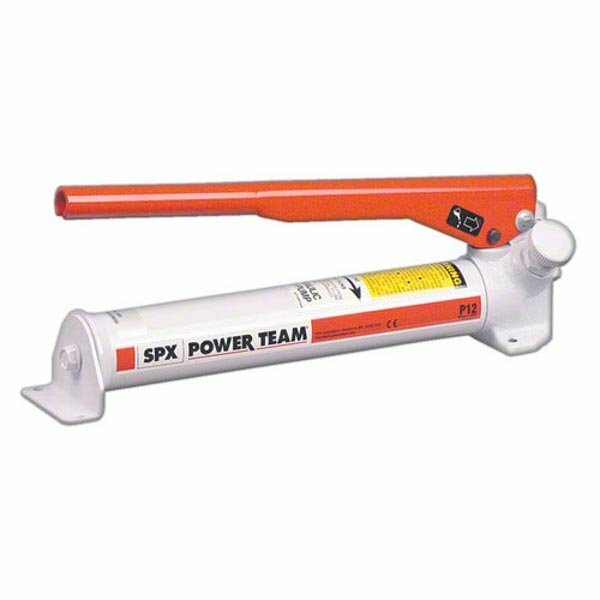 Here at SGS Engineering, we have a fantastic range of Power Team equipment, which includes our hydraulic hand pump range. Hydraulic hand pumps are an incredibly useful product in any industry, including rigging, mining, construction and quarrying, among others. All of our Power Team hydraulic hand pumps are of the highest possible quality and are available at competitive prices. 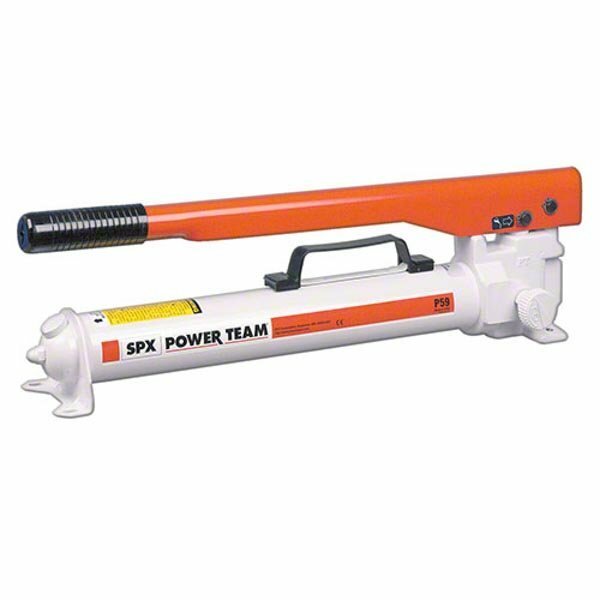 Browse the entire range of hydraulic hand pumps from Power Team online today. Our range of Power Team hydraulic hand pumps are best suited to applications where there is little or no need to travel or where hydraulic hand pump portability is required. Our range of hydraulic hand pumps have two speed options which will reduce the number of handle strokes required, allowing you to work faster and making the jobs much easier. Our comprehensive range of hydraulic hand pumps means that we’re certain to have something perfect for you in our range. With lifetime warranties offered on our Power Team hydraulic hand pumps, and next day delivery options, there are a number of reasons why you should make SGS Engineering your one stop shop if you’re looking for a hydraulic hand pump. If you need advice on any of our hydraulic hand pumps then please call 01332 576 850. Our customer services team are on hand to help.